Why is it Called Hulu? Ads, ads, ads! Did you know that Americans watch 1.4 billion video ads on Hulu per month? That’s a lot of seconds! Unlike most brands I’ve covered, Hulu was not founded by one, two or even three specific people. The company was founded as a joint venture between NBCUniversal Television Group (32% stake and 100% owned by Comcast as of March 2013), Fox Broadcasting Company (36% stake) and Disney – ABC Television Group ( 32% stake). Hulu is an on-demand streaming service for TV shows, movies, trailers and webisodes. Initially the content was free, however they launched a subscription model called Hulu Plus in November 2010. Both services (Hulu & Hulu Plus) contain commercials. There are three major benefits of paying $7.99/month for Hulu Plus. (1) You have access to more inventory (2) watch on a wide variety of platforms (3) Ad free kids movies and shows – great for keeping the kiddos laser focused and quiet. Hulu knows what parents will pay for! The company is currently headquartered in Los Angeles, California and CEO’d by Mike Hopkins. Why is Hulu called Hulu? After generating a long list of potential names and writing them all over the walls, Eric Feng (CTO) suggested the name Hulu. He didn’t just randomly come up with the clever name. He highly considered it for a previous company. Prior to joining Hulu, Feng was the Founder and CEO of Mojiti – an online video automation service located in Beijing, China. Mojiti was almost called Hulu. The team liked the name because it was short, fun, easy to pronounce and didn’t have any meaning in the english language. In other words, the name did come with any false impressions. 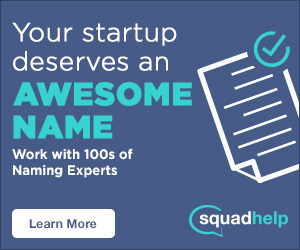 This is one of the greatest benefits of picking a name that doesn’t exist in the marketplace. In Mandarin, Hulu has two interesting meanings, each highly relevant to our mission. The primary meaning interested us because it is used in an ancient Chinese proverb that describes the Hulu as the holder of precious things. It literally translates to “gourd,” and in ancient times, the Hulu was hollowed out and used to hold precious things. The secondary meaning is interactive recording. We saw both definitions as appropriate bookends and highly relevant to the mission of Hulu. See Also: Why is it called Netflix? In 2011, Hulu was up for sale. Interested buyers included Amazon, Google, Yahoo and Dish, however no offer was attractive enough to sell. It’s unclear if Hulu was serious in selling or if they were just trying to get a better understanding of what they were worth. What’s your favorite streaming service? Thanks for reading why is it called Hulu.